Business travel and trips to Cardiff, facilities for meetings. As a capital city which is quite compact and this relatively easy and cheap to get around, Cardiff in Wales has a lot to offer. If you find yourself needing or wanting to visit as a business person or tourist, there are many things to see and do whilst in the city. As a tourist there are many excellent attractions, whilst for the business traveller, a good range of facilities to hold meetings and at which your base yourself. Below a look at Cardiff for tourists and business visitors. As mentioned in the intro above, Cardiff is compact and as a capital, a lively location in the centre of the city. If you are visiting on business then I would highly recommend to base yourself in one of the hotels in the centre and simply use a taxi if you have a meeting in our on close to Cardiff. Even Cardiff Airport from a business travellers point of view, is an affordable taxi ride (appprox £40 one way). Most of the major hotel chains can be booked via booking.com for a stay in the centre of Cardiff. Hotels such as the Park Inn Radisson and Marritt Hotel both have high speed internet. parking, business and meeting facilities, if you need to conduct business in the city. Most hotels in the centre are also within walking distance of literally dozens or restaurants, pubs and the main shopping areas. If you are interested in golf and/or want to impress others for the sake of doing a business deal, Celtic Manor is a place worth staying in or visiting, with its 18 hole world class gold course (used in the Ryder Cup) and with facilities specifically designed for business meetings and conferences and dedicated staff for this purpose. 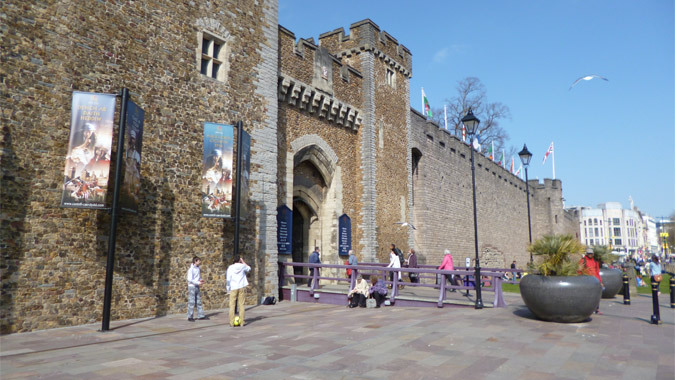 Cardiff Castle is a very impressive attraction which is an important landmark in the centre. Built over 2000 years ago, the castle offers guided tours which enable you to gain an insight into the history of the region. If you have the time, I highly recommend going to see the castle including the chapel, banqueting hall (with its remarkable fireplace), the Clock Tower, the beautiful stained glass windows in the entrance hall and the library. Based in the refurbished area of Cardiff Bay, the Norwegian Church Arts Centre was once used to house a church for Norwegian sailors. The arts centre is reputed to be the place where the christening of the author Roald Dahl was conducted. Today, art exhibitions, concerts and other events are held here; the Centre is also known to offer great views of the surrounding areas. Entry to the Norwegian Church Arts Centre is free. In addition to the centre, you can also easily spend an hour or two walking around the bay. A 4 minute train trip from the centre makes this an area which is very east to get to. Whyen visiting Cardiff, one of the most notable and visible modern structures in the centre is that of the Millennium Stadium. 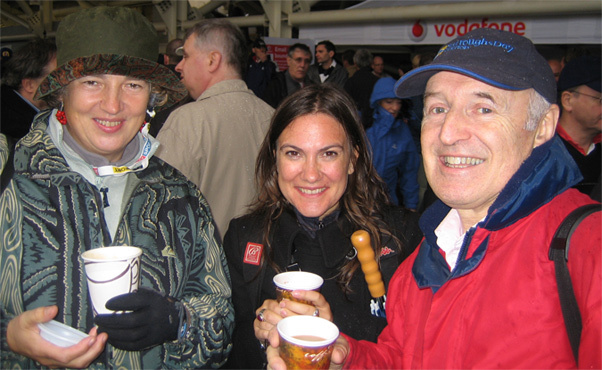 You can do a stadoum tour and enjoy a behind the scenes experience of one of the world's finest rugby stadiums. The tour of the Millennium Stadium normally includes a visit to the players' changing room, and a trip to see the pitch, the Royal Box and the player's tunnel. You can book tour live from their direct website. You can have to view this video of the stadium from the viewpoint of r Freestyle runner. See where he jumps the revolving roof! St Fagans National History Museum is another popular attraction for visitors to Cardiff. This museum boasts more than 30 buildings that are surrounded by 100 acres of parkland which recreate various periods in Wales' history. The museum also conducts exhibitions, events and festivals that are very popular with locals and tourists. Demonstrations of ancient crafts also take place here. Techniquest is a science centre in Cardiff Bay, and is reputed to be the best in the country. If you are visiting with children, you can have them launch a model rocket or a hot air balloon, see how ants live and explore a variety of fascinating creations that offer interesting insights into science. There is a theatre, cafe and a planetarium at the centre, providing visitors with plenty to do at Techniquest. Other attractions in Cardiff include the Doctor Who Exhibition and the National Museum Cardiff. If you are in Wales for any length of time, have to visit other areas because of business or simply have a desire to explore more of the country, there is plenty to see. The South Western Coastal area of Wales which is known as the Gower is a provides some quite stunning views and some lovely walks. The weather can be quite windy in this area but for natural beauty the Gower is a location certainly worth consideration. (More on the Gower). You can visit our page on Wales if you are interested in exports, imports, transporting vehicles and any type of freight.